Following a week of meetings in Washington, DC and the Friday evening Horatio Alger Awards Banquet, I caught a very early flight for Kansas City and the Kansas State Conference in Topeka. I arrived just in time to join the Chapter Regents luncheon and spent a far too short time with the Kansas Daughters. The state regent, Kathryn West and her husband, Ollie, went above and beyond in making sure I had every comfort and opportunity to enjoy what time I spent in Kansas. 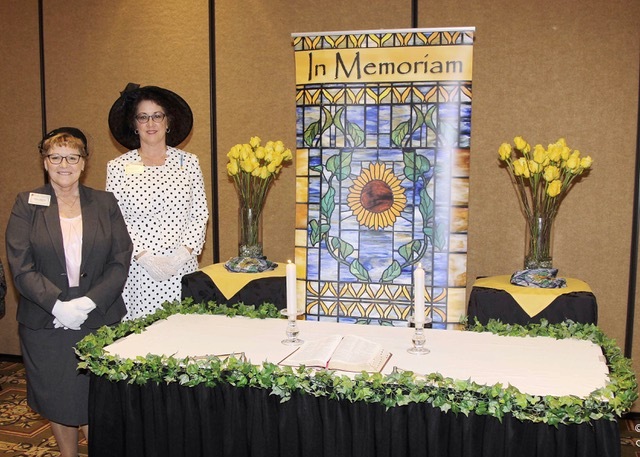 The 120th Annual State Conference in Topeka, Kansas, began with the Memorial Service after dinner. Later, members gathered for the KSDAR Funsters event. 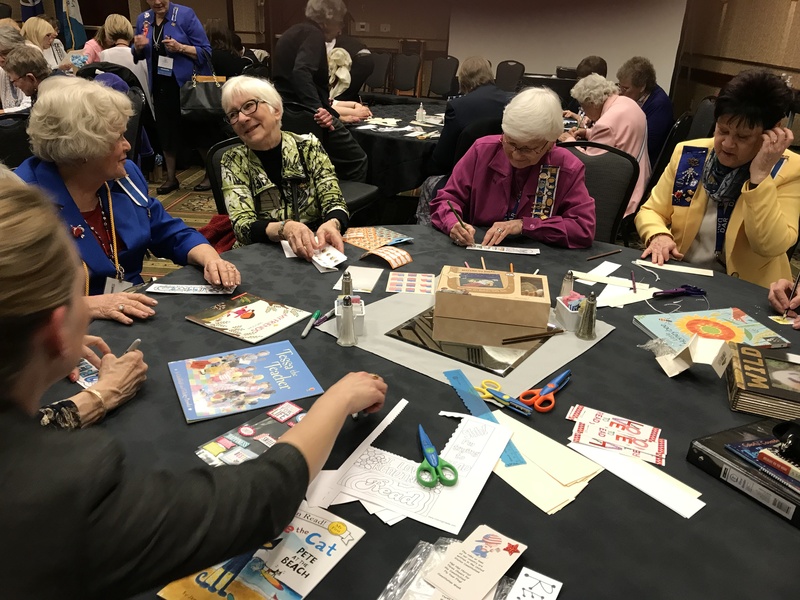 The Funsters started as a way to provide more social time at State Conference in a very informal environment, and this year, several rounds of DAR Bingo and Kansas Bingo were held. 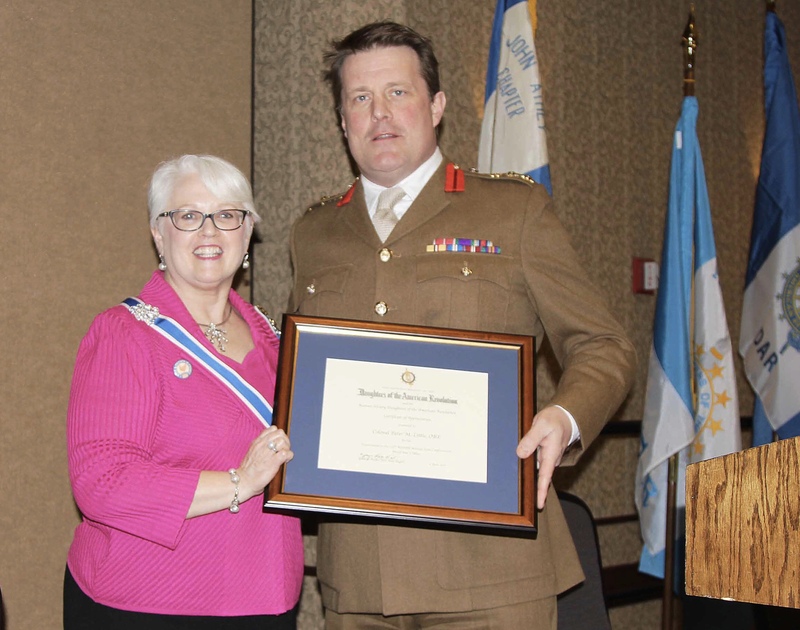 Colonel Peter M. Little, Order of the British Empire and British Liaison to the Combined Arms Center at Fort Leavenworth, Kansas, was our speaker at the Friday luncheon. He delivered an educational talk on the British and American women during and after WWI and how our paths for the right to vote were on a parallel course. 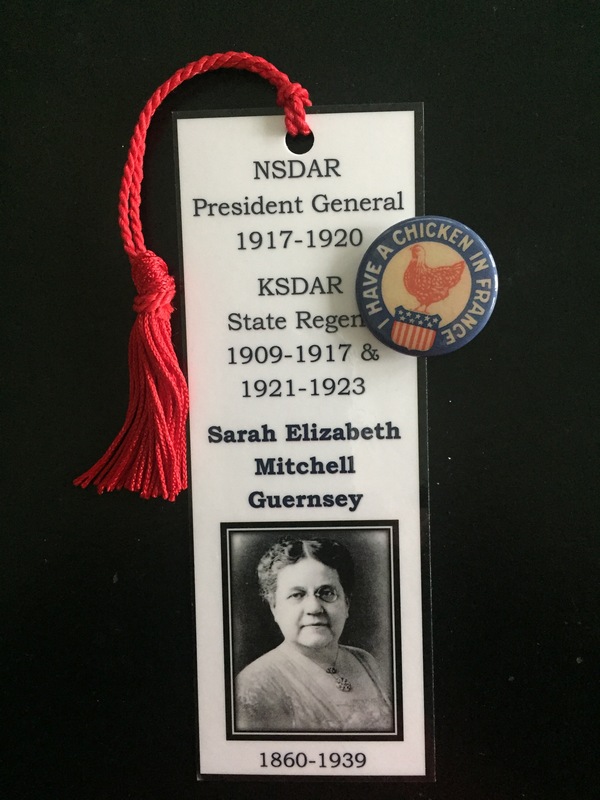 In remembering the campaign, I Have a Chicken in France, Kansas Daughters had a free will offering to support the chicken flocks of the Crossnore School and Children’s Home and the Hindman Settlement School in honor of Kansas Daughter, Sarah Elizabeth Mitchell Guernsey, President General 1917-1920. While Kansas Daughters saw to the business of the State Society, conference guests; Janet McFarland, District of Columbia State Regent and National Vice Chair Membership Training; Susan Bowman, Missouri State Regent; Alice Miles, Oregon State Regent; Charlotte Reynolds, Tennessee State Regent; and Jamie Durham Burchfield, National Chair Junior Membership, took a field trip to the Brown vs Topeka Board of Education national historic site. Oliver Brown, a minister and for whom the lawsuit was named, was the first of thirteen parents listed in the lawsuit on behalf of twenty children which was filed in 1951. The State Regent’s Project has completed the historic preservation component with new window treatments and carpet in the Office of the Registrar General honoring Kansas Daughter, Mary Frisch. Awards for a custom side-by-side bicycle for the Topeka VA Campus and the raised bed garden expansion in the Leavenworth VA campus were announced. Additional patriotism mini project awards are forthcoming and all remaining project funds will be credited to the KSDAR Scholarship fund to benefit future DAR members. While our Texas guest, Jamie Burchfield, did not do so well in the Kansas geography bingo, she was a hit as our speaker on Friday night for our Junior Membership Banquet. 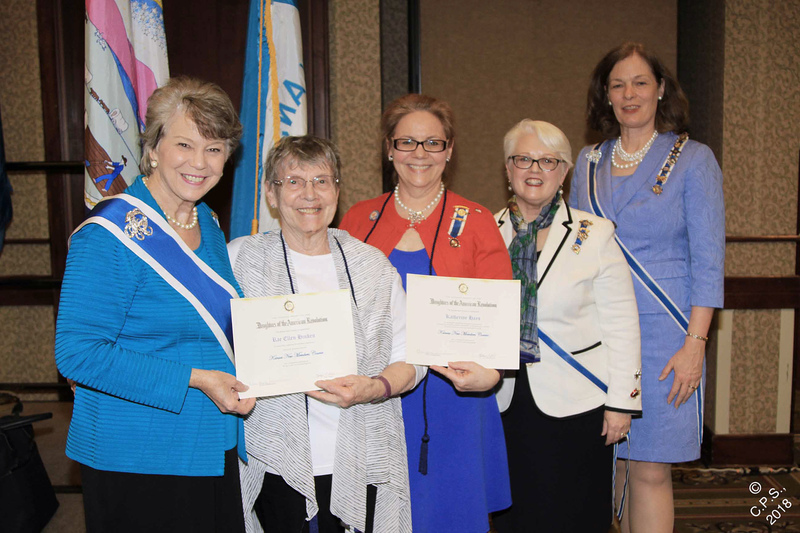 The Outstanding Junior was presented and recognition was given to our fifty-plus-year members and each was presented with a spring basket of flowers. 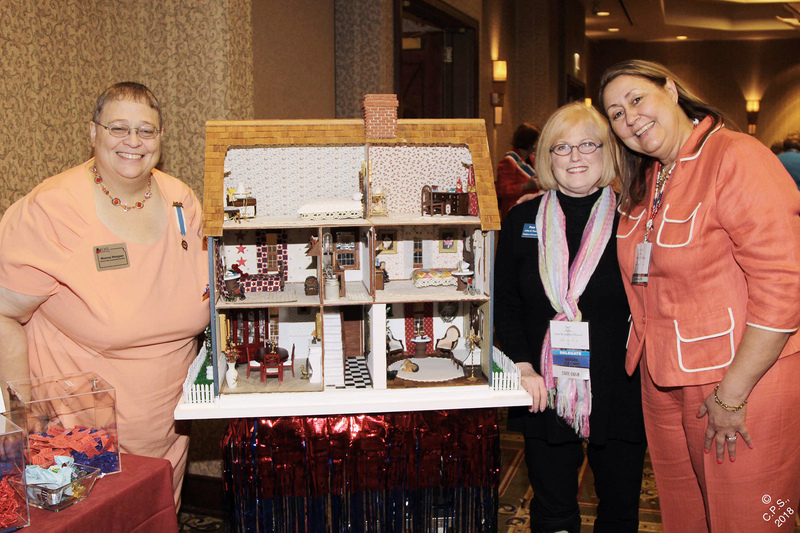 One of the items being raffled was a dollhouse to benefit our Madonna of the Trail restoration. We will celebrate the 90th year of our Madonna of the Trail this coming September, and restoration work is scheduled for May 2018. The Madonna of the Trail Special Committee announced that grant funding sufficient to cover the costs of the restoration was received. 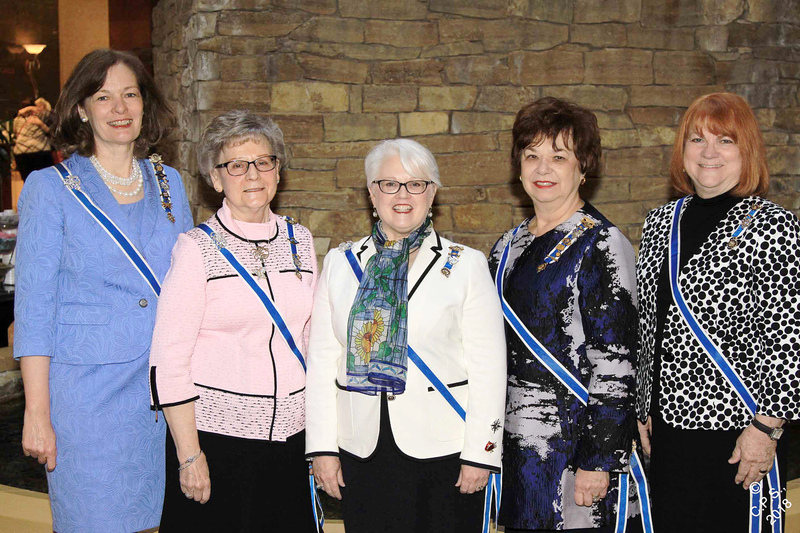 On Saturday, we welcomed our President General, Ann Turner Dillon, at the Chapter Regents luncheon, where we showcased our chapter regents with pictorial and narrative highlights of their many accomplishments. The Outstanding Chapter Regent was announced. Forty New Member and New Horizon graduates were introduced and presented with lanyards and certificates. While the Heritage and Founders Club event took place, a service project to bring books and make bookmarks took place with 265 books being collected to be donated to Ronald McDonald houses and the Topeka Head Start program. Daughters were clearly creative with their bookmarks and many were seen reading the books to derive inspiration. Our evening culminated in the President General’s Banquet where Mrs. Dillon presented the keynote address to much appreciation. She graciously presented the 100% participation certificates to chapter regents for their President General’s Project contributions. We were honored to be with her and proud for her to hear of our many accomplishments. The Sunflower Singers, along with the group, the Notable Exceptions, performed several numbers commemorating the westward expansion of the United States. The final number, Ease on Down the Road, was exactly what we did as the 120th State Conference of the Kansas Society concluded.